In the next paragraphs the application of asphalt in tunnels, on bridge decks, in railway tracks, for airfields and even for constructing landfill sites is described in more detail. Most of the world’s paved roads are surfaced with asphalt, which gives good performance and durability under the most heavily trafficked conditions. Asphalt materials are therefore eminently suitable for use in the construction and surfacing of roads in tunnels. Asphalts give good performance and durability under the wide range of climatic and traffic conditions. More and more often asphalts are used for industrial areas or for specific applications, such as in buildings, at airports and as base courses for railway tracks and arealso widely used in tunnels. The use of asphalt in road tunnels is a topic which is often discussed by engineers in the construction industry. The background for these discussions is mostly related with safety in tunnels and the reaction to fire of asphalt. EAPA Position Paper “Asphalt pavements in tunnels” (2008) describes the possibilities of the use of asphalt in tunnels. It addresses the construction issues of paving asphalt in tunnels, noise reduction, skid resistance, maintenance and lightness in tunnels as well as the safety aspects with regard to paving activities and the reaction to fires in tunnels. 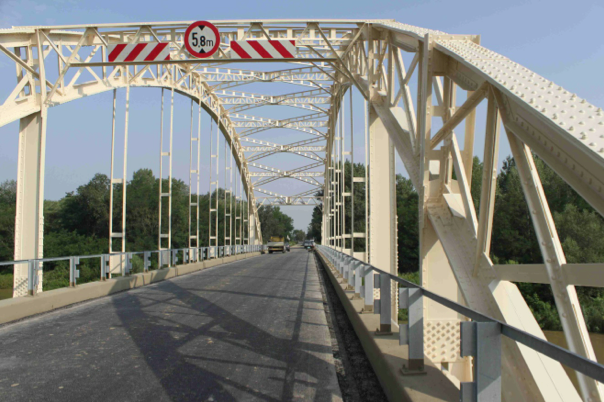 In Europe most (if not all) steel and concrete bridges have an asphalt surfacing on top. One of the main reasons for using asphalt is to protect the steel and concrete structures from water and de-icing salts. Asphalt mixtures have been shown to provide good technical alternatives for several elements of traditional railway construction. 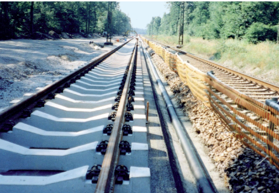 In particular, experience with asphalt in the track superstructure (the traditional superstructure consists of the rails, the sleepers, fastenings and the ballast) and in the sub ballast layer has shown that these types of construction are able to fully meet the requirements of modern railway tracks. The properties of bitumen and asphalt offer good opportunities to apply this type of material in railway track construction. This has been proven in various applications, both for heavy loaded tracks and for high-speed tracks. The use of asphalt in railway construction provides a positive contribution to the bearing capacity of the structure. It improves both the stability and the durability of the structure, which contributes to the reduction in the need for maintenance. 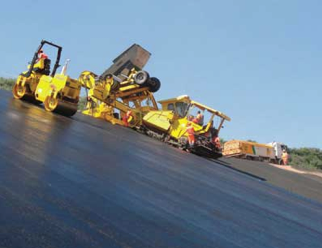 In addition, the use of asphalt also helps to reduce vibration and noise. The use of asphalt may reduce the total construction height of the superstructure, which is of importance in the case of tunnels and bridges. Applications of asphalt in railway construction can be divided between use as sub ballast layers and use as full depth (asphalt) construction, also called the ballast-less track. Worldwide experience has shown that use of asphalt can offer a good alternative in modern railway construction. Thanks to the specific properties of asphalt mixtures the materials are able to comply with many of the requirements. Most of the world’s paved roads are surfaced with asphalt, which gives good performance and durability under the most heavily trafficked conditions. Asphalt mixes are also widely used in the construction of hard standing and parking areas for both light and heavy vehicles. They are therefore eminently suitable for use in the construction and surfacing of access roads, perimeter roads and vehicle parking areas on airfields. Asphalts give good performance and durability under the wide range of climatic and traffic conditions. More and more often asphalts are used for industrial areas or for specific applications, such as base courses for railway tracks. Asphalt is also widely used in airport construction, although this usage is not always recognised. A majority of airports are constructed with asphalt pavement. In airports, there are different areas such as runways, taxiways, aprons and parking areas. For each, the required specifications could be different particularly for surface courses. For parking and aprons, good resistance is needed to puncturing, to fuel and to chemical agents. For other surfaces, a good skid resistance is necessary. 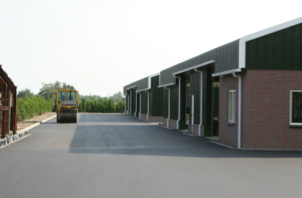 Asphalt mixes provide the answer to these various requirements. In addition to these uses, asphalt mixes are widely employed in the surfacing of runways and aircraft handling areas on a wide range of airfields, from international airports regularly used by the heaviest airliners, through military airfields carrying high performance jet aircraft and the smaller domestic airfields regularly used by light or medium-sized aircraft to the smallest private airfield used by light single or twin-seat aircraft. 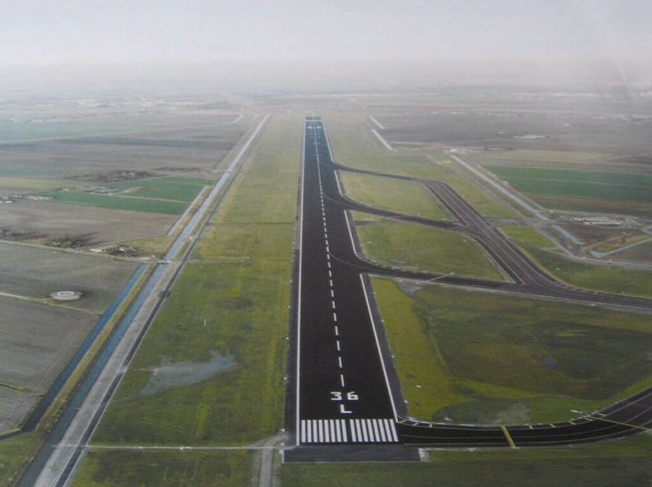 In Europe, the construction and surfacing of military airfields is the responsibility of the each nation’s Ministry of Defence, whilst responsibility for the civil airports usually rests with the civil or municipal aviation authorities. These organisations often have their own standard specifications for this type of work. Asphalt concrete is an excellent waterproofing material and well established in hydraulic engineering for many decades. Whereas the mix design for asphalt concrete for road constructions is focused on durability, stability and surface quality, the main point in hydraulic engineering is impermeability of the asphalt. The difference between asphalt in hydraulic engineering and in landfill lining is that in hydraulic engineering a small degree of permeability is allowable, whereas this cannot be tolerated in landfill lining, which needs to protect the ground water for centuries to come. The water permeability of asphalt concrete depends on its voids content. Asphalt with a void content below 3 % by volume is impermeable even at high water pressures. For this reason asphalt is often used for drinking water reservoirs, bottom protection of waste disposal sites, waterproofing constructions, etc.